A Day Late and A Dollar Short: AMAZON - Set of 6 BPA-Free Double-Wall 16-Ounce Capacity Reusable To Go Travel Mugs - $2.50 Each! 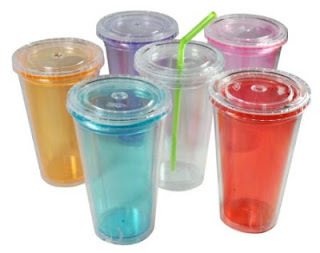 AMAZON - Set of 6 BPA-Free Double-Wall 16-Ounce Capacity Reusable To Go Travel Mugs - $2.50 Each! Ready for summer? You may need to restock on cups if you have a house full of kids and company like we do.